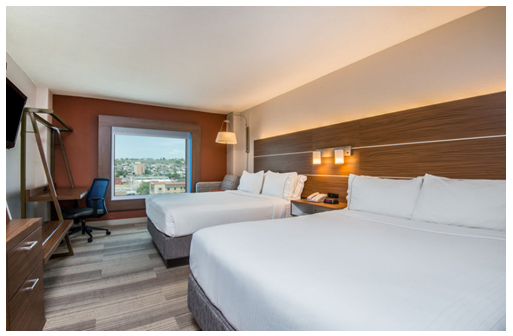 ​ EL PASO - The Holiday Inn Express Central located downtown has completed a $2 million renovation. The hotel's 112 rooms were updated with new furniture, new carpets, new wall-mounted TVs, and upscale Keurig coffee makers. The hotel's meeting rooms were updated, and its fitness center was remodeled and new exercise equipment was added. The hotel, located at 409 E. Missouri, between Campbell and Kansas, was converted to a Holiday Inn Express in 2005. At that time, it underwent an $1.4 million renovation, which included a remake of the hotel's exterior.